I'm a creature of the night lately. Don't know what it is about this pregnancy, but sleep isn't exactly happening regularly these days. In fact, I'm more awake at nighttime than I am during the day! I get my second wind around 10:30 p.m. and after that, it's re-runs of Friends and infomercials. Needless to say, I've had to come up with a pretty solid eye make-up routine that conceals the shopping bags under my eyes and magically helps me look like I've gotten a full eight hours. 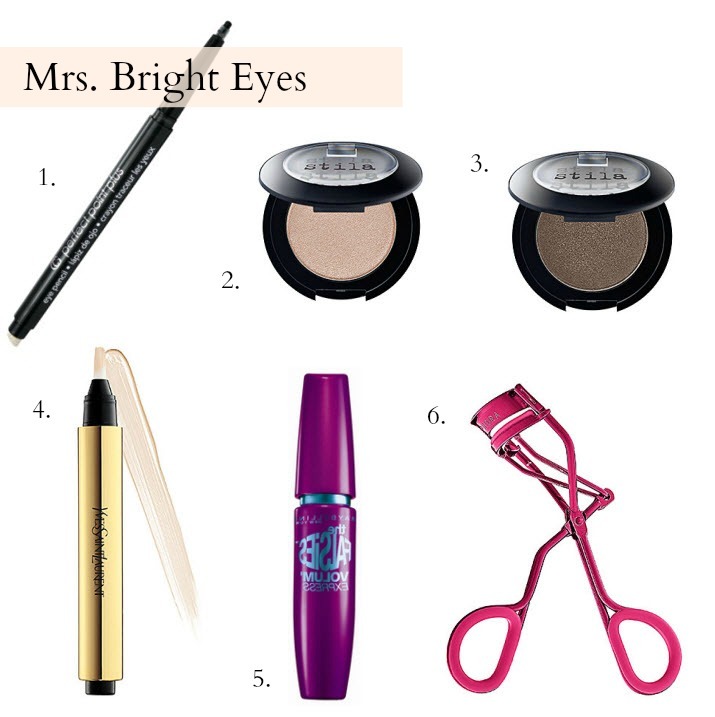 I swear by YSL's Touche Eclat eye brightener, as well Stila's uber-pigmented eye shadows. And nothing on this planet will wake up your eye sockets quite as well as a healthy dose of mascara atop curled lashes. Oh yeah, all this and a big ol' cup of java. Link up tonight/tomorrow for Confessional Friday! Falsies is my go to mascara for sure!